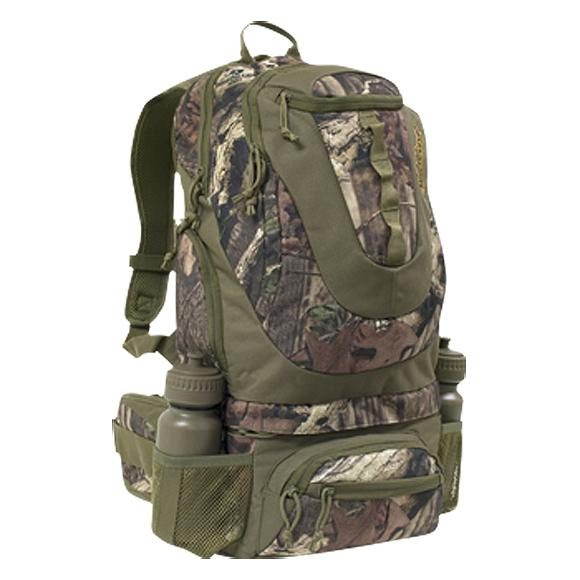 A large capacity day pack from Fieldline, the Big Game gives you lots of space with ample features to keep a full day's load of gear organized and accessible. A large capacity day pack from Fieldline , the Big Game gives you lots of space with ample features to keep a full day&apos;s load of gear organized and accessible. The Gear-Lock system allows you to customize your pack with Fieldline® Gear-Lock accessories. The versatility of Gear-Lock will let you adjust your pack into multiple configurations. With a few easy steps, your pack will adapt to whatever the situation demands. Dimensions 23.5" x 12.5" x 7"